Invisalign in Gramercy Park – Is it Worth the Investment? Smile imperfections can put a damper on your self-esteem, and they can affect the way other people respond to you. If you have misaligned, crowded, gapped or crooked teeth, you don’t have to rely on metal braces as the only way to improve them. You can now have your smile rejuvenated in a dignified manner with Invisalign in Gramercy Park, but can you afford the procedure? Your cosmetic dentist provides the details you’re looking for! The Invisalign method starts with your cosmetic dentist performing an examination and full assessment of the current condition of your teeth. After taking bite impressions and photos, the expert will use state-of-the art computer imaging software to develop a complete treatment plan that will be sent to the Invisalign lab, which specializes in fabricating Invisalign clear braces. When your complete treatment set of clear trays are ready, you’ll head back to your cosmetic dentist’s office to retrieve them. You’ll wear each set of trays, on average, for two weeks, and then you’ll discard them for the next set in the sequence. There are food restrictions since the trays can be removed. The process is typically faster than that of traditional braces. It allows for a discreet treatment process with its clear trays. The trays can be removed to perform normal oral hygiene like brushing and flossing. By straightening the teeth, Invisalign ensures that you can clean your digits thoroughly when brushing. It gently and gradually adjusts the teeth to provide for a more comfortable treatment experience. Patients are left with greater confidence and the ability to have more fruitful interactions with other people. The benefits of Invisalign are undeniable, but you still need to know what the “bottom line” is. The best way to get an accurate price on your Invisalign treatment is to meet with a local cosmetic dentist. That’s because the process is highly customized and centered on your specific needs. You will also need to have sufficient oral health to be eligible for the Invisalign process. This ensures that your beautiful new smile will be a healthy one as well. The question of whether Invisalign is worth the investment is left to you to make a decision on, but if feeling better about yourself and having excellent oral health is important to you, then it’s at least worth speaking with your cosmetic dentist in Gramercy Park. For decades, Dr. Ira Newman has been providing expert care, and throughout that time, the Emory University School of Dentistry graduate has remained steadfast in his efforts to be the best. Thus, he has received additional training from the prestigious Dawson Academy for Advanced Dentistry and the Spear Center for Clinical Excellence. Dr. Newman helps patients overcome bite flaws with Invisalign at Gramercy Dental Studio, and he can be reached for more information through his website. 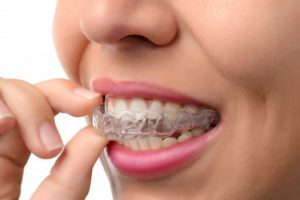 Comments Off on Invisalign in Gramercy Park – Is it Worth the Investment?